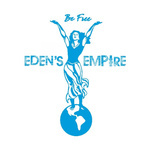 Eden's Empire...........You guys have created some very nice music. "Running from the Sun" is a great song. I was listening to your stuff as I ate my french toast this morning and my sense of taste and sense of hearing both were having a good time. Just heard "Running From the Sun " in the 6-pack. Up against some pretty good stuff. The 3 is yours. Great song! Hey guys thanks for the great review, I know you are over educated, under paid what else was it, oversexed or something? LOL I know the feeling and anyone who even remembers James Dean today is cool wit me. Good luck. I got "Live for Love" in the song of the month reviews. This is a GREAT song! :) Good luck in the contest!